When severe strain or stress has been put on the skin, keloid scars tend to form. This could be the cause of injury, piercings, cuts, or scrapes. Keloid scars can be very unsightly due to the raised skin and discolored pigment that comes with the development of these unfortunate scars. Not only are keloid scars unattractive, they can be very painful. Many people complain that their keloid scars burn, sting, or itch. Because of some or all of these reasons, most everyone with keloid scar seeks out a course of removal. While it can be difficult, it is not completely impossible to get rid of keloids. There are many at home therapies as well as professional remedies that can be used. While most of the remedies are completely safe, all should be used under the supervision of a dermatologist. The cheapest and most effective keloid therapy has been found in gels containing silicone, like Scarinex. Silicone gels are therapeutic in that they adapt to the body and allow you to move and continue with your daily activities without worrying about toxins entering the scar. The silicone is key because of its natural healing and moisturizing capabilities that help reduce redness and swelling almost completely. Silicone gels have been used for years by doctors and plastic surgeons to promote scar healing. Surgery is one way to attempt the removal of keloid scars, though many would advise against it. There are several operational procedures, all of which are extremely expensive. 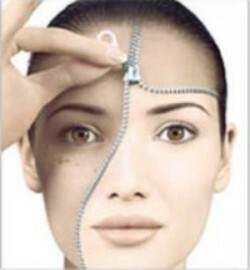 Generally a scalpel, electric knife, or a laser is used in the procedure to flatten the scar. Surgical removal can be painful, and there’s no guarantee that you won’t be left with an even bigger scar than before. The basic idea behind surgical removal is to open up the scar and sew it back together as a smaller scar. Typically this expensive method is not covered by medical insurance because it is considered a cosmetic procedure. Keloids can be quite painful though and if they become a hinder on your daily routines you may be able to get a referral from your doctor. Scar sheeting, which is also known as pressure dressing, is used by placing a silicone bandage over the affected area. Because the bandage does not dissolve into the skin, it is not as effective as a silicone gel. Sheeting can also be quite costly and troublesome. Averaging about $30 per sheet, they must be changed several times a week. If your scars are larger it could become very uneconomical. While scar sheets are mainly associated with alleviating the irritation of keloid scars, many people complain that they are often left with an itchy rash.